Based on a 28 day rolling contract. 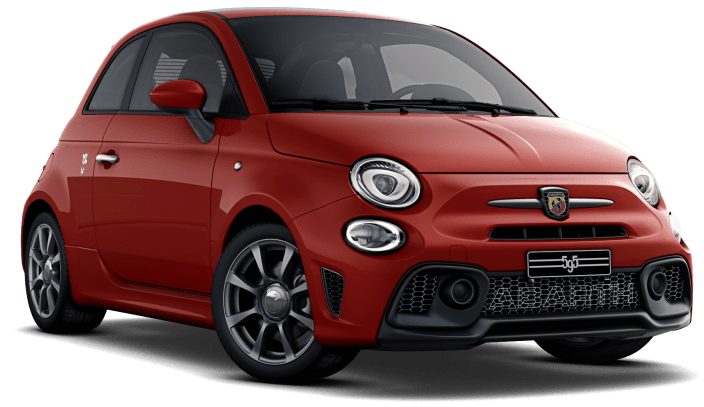 If you love a small car, fiat 500 and you love it to be sporty, then there’s no doubt that this is a very good choice. This Abarth has 145hp (horsepower) and goes 0-62 in 7.8 secs. The Fiat Abarth 595 is great fun, its small, fast and a great car to drive. Inside the car is full of sporty details with race-car-inspired rev-counters, and supportive sports seats. The boot doesn’t have loads of room but there is room for a buggy and a small weekly shop, however, this car isn’t made to be practical, space wise, its made to be sporty and fun. The Abarth is not a quiet car, when starting it up the car makes a good gurgle, people will know when you are approaching. It is quite simple just a louder, faster, more modified classic Fiat 500.